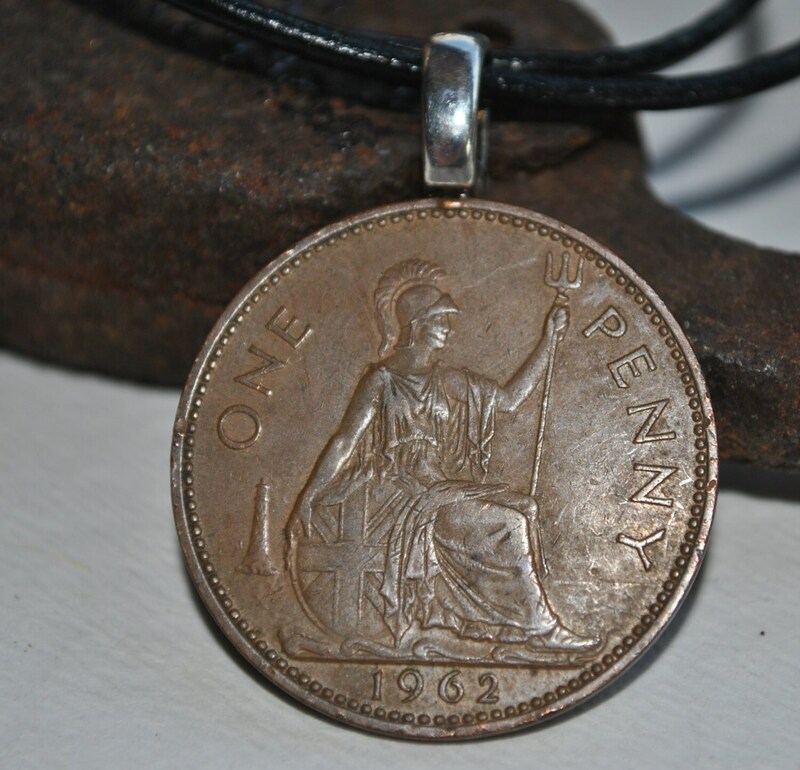 Men's Lucky penny 1962 British coin necklace. 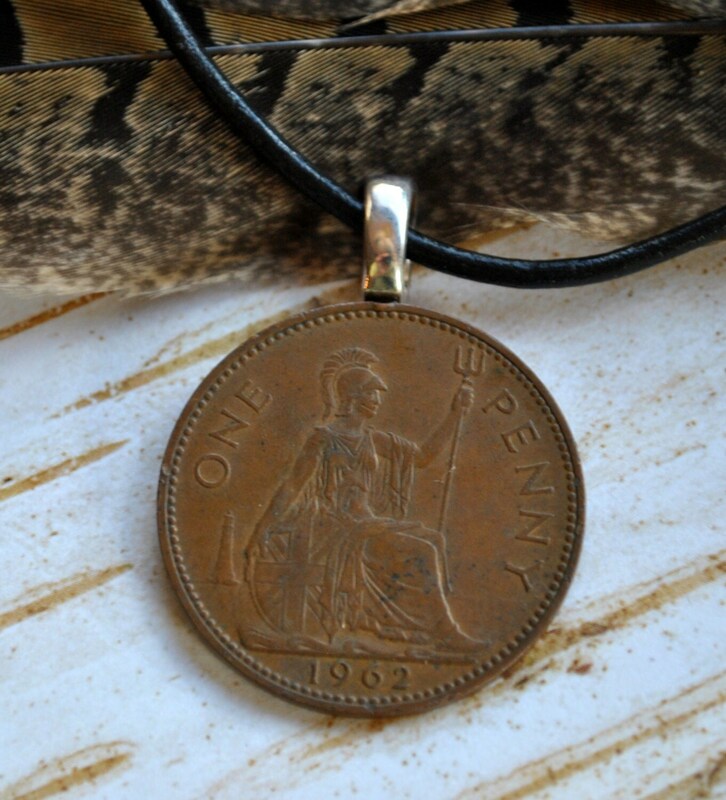 This large penny is made from bronze and has Britannia seated on the front and Elizabeth II on the back. 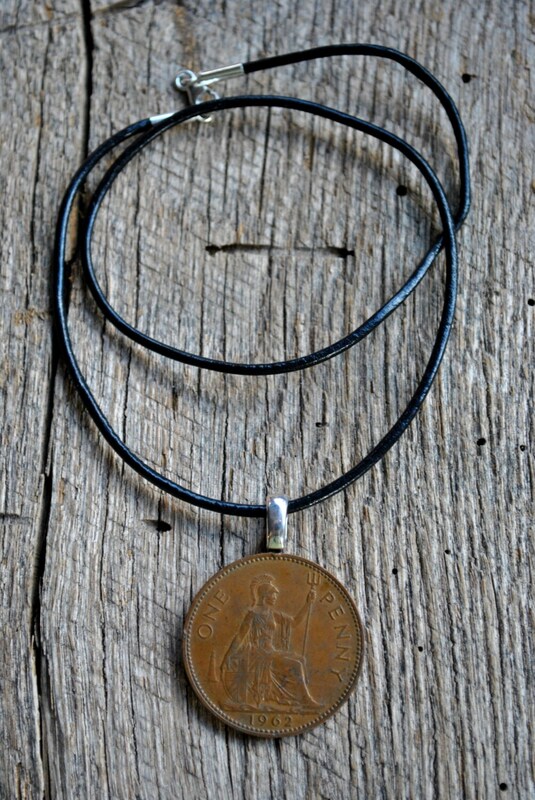 Black leather cord necklace with sterling silver lobster clasp. 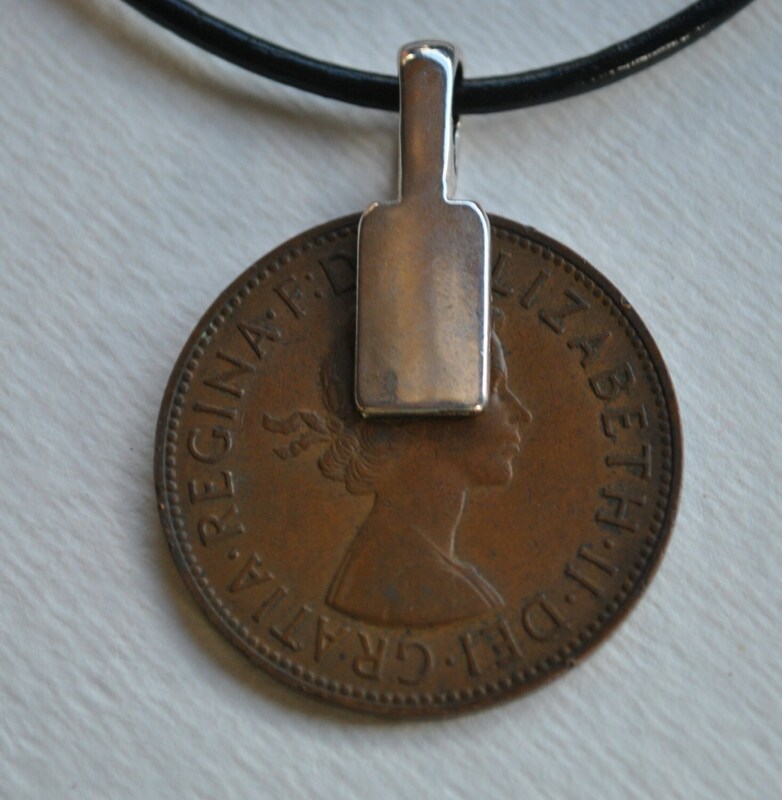 May the wearer have good fortune!